Who is the typical DSP student? There is no such thing as the “typical” student: each application is assessed on its merits by reference to the published selection criteria. Most but not all of our students are established diplomats. Most of our students have at least a couple of years’ of experience of the workplace, some of them many more. Our students hail from a great array of nationalities. In the last 3 years alone, we have welcomed students from Austria, Australia, Bahamas, Bangladesh, Belize, Belgium, Bhutan, Cambodia, China, Dominican Republic, France, Ghana, Iraq, Italy, Japan, Jordan, Mexico, Mongolia, Morocco, Pakistan, Paraguay, Philippines, Poland, Qatar, Romania, Sao Tome and Principe, Singapore, South Korea, Tajikistan, Thailand, Tunisia, Turkey, UK, Uruguay, USA and Vanuatu. The age range of students is broad: in the last three years, it has ranged between mid-20s and early-50s. Historically more men have applied to the course than women, but in the last two years there has been an approximately equal number of each. As regards disability and support for learning difficulties, please see the course webpage and the University’s policies. How will you decide whether to admit me for the Master of Studies or the PG Diploma? The differences in the admissions criteria, and minimum requirements, are below. For the full admissions criteria, please see the Graduate Admissions website. Second class degree with honours (GPA 3.0 or equivalent). Exceptional references an advantage. English language IELTS 7.0 or equivalent. First class or upper second class degree with honours (GPA 3.5 or equivalent). Exceptional references an advantage. English language IELTS 7.5 or equivalent. I would prefer to take the Master of Studies, but would also like to be considered for the PG Diploma. Should I apply for both? No. Candidates unsuccessful for the Master of Studies will automatically be considered for the PG Diploma. If you would NOT like to be considered for the PG Diploma, please let us know on your application form or by email to dsp@conted.ox.ac.uk. Candidates accepted for the PG Diploma may apply to transfer to the Master of Studies after their first term in Oxford (please see below). Can I transfer from the PG Diploma to the Master of Studies? If accepted on to the PG Diploma, you may apply to transfer to the Master of Studies after your first term in Oxford. However, if you need a visa to study in the UK, you are likely to need a new visa before you can transfer course. UK Visas and Immigration rules currently require you to return to your home country to apply for the new visa. The aim of the transfer route is to offer participants who may have valuable professional experience but may not meet the academic or English language requirements for the Master of Studies when they apply, the opportunity to demonstrate their capacity to research and write a dissertation to the level expected on an Oxford Master of Studies course. If you apply for transfer, you will be required to submit a full research proposal and, if shortlisted, to be interviewed. You will also need to demonstrate that your English language level is at least IELTS 7.5 or equivalent. Can I study the PG Diploma one year and then take the Master of Studies in a later year? No. From 2018 the PG Diploma and Master of Studies are taught together and the examinations are the same in both courses, taken in June. Master of Studies students will remain in Oxford for 3 months after the examinations to complete their dissertations. Can I study the PG Diploma in Diplomatic Studies or Master of Studies in Diplomatic Studies on a part-time basis? No. 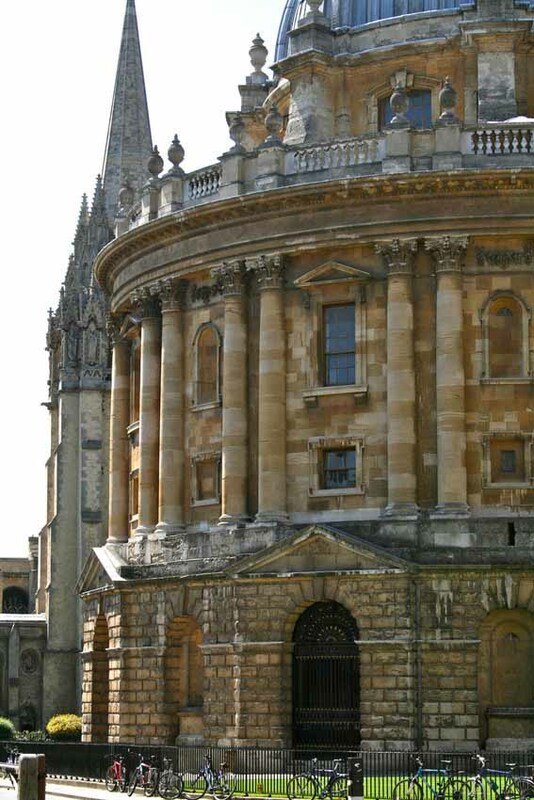 Both courses are full- time, lasting nine and twelve months respectively, with students expected to be resident in Oxford for the duration of their studies. What funding opportunities are there available for DSP students? The programme typically attracts a handful of Chevening scholars each year. Please see www.chevening.org for information on UK Foreign and Commonwealth Office Chevening Scholarships, including how to apply. Citizens of developing Commonwealth countries applying to the MSt in Diplomatic Studies are eligible for Commonwealth Scholarships. For more information and details on how to apply, please see the CSC website. The vast majority of University and College scholarships are awarded to applicants who submit their application by the January deadline. Those who apply before this date will be automatically considered for scholarships where they fulfil the eligibility criteria. Do I need to pay an application fee for this course? Yes, the application fee for 2019 entry is £75.00. Applicants whom are resident in low-income countries and low-middle income countries may have the application fee waived for this course. For further information, please contact the Course Administrator. What are the application deadlines? Will you accept late applications? The application deadlines are 25 January 2019 and 1 March 2019. We recommend that you apply before the January deadline if possible, not least so that you may be considered for University scholarships. In some circumstances it may be possible to apply after the March deadline, for example if you are unable to apply earlier for professional reasons. However we cannot guarantee a place for late applicants, however strong their application. If you are considering applying but will not be able to meet the March deadline, please contact us as early as possible to discuss this. How long before I hear the result of my application? We hope to notify you of the outcome of your application 6-8 weeks after the application deadline before which you have applied. Can I apply if my first degree is in a subject not related to diplomacy/international relations? Can I apply if I am not a diplomat? Yes. Although the course is designed for established diplomats, we accept some applications from non-diplomats each year and welcome the different perspectives they bring to the course. To be accepted, you will be expected to show experience of a related field or reasons for a strong interest in diplomacy.